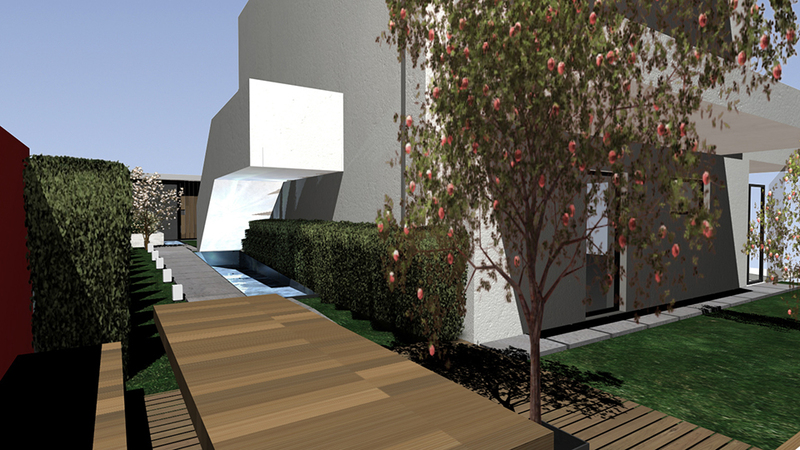 This is an open-air living room and dining room in the back yard of a family apartment building. 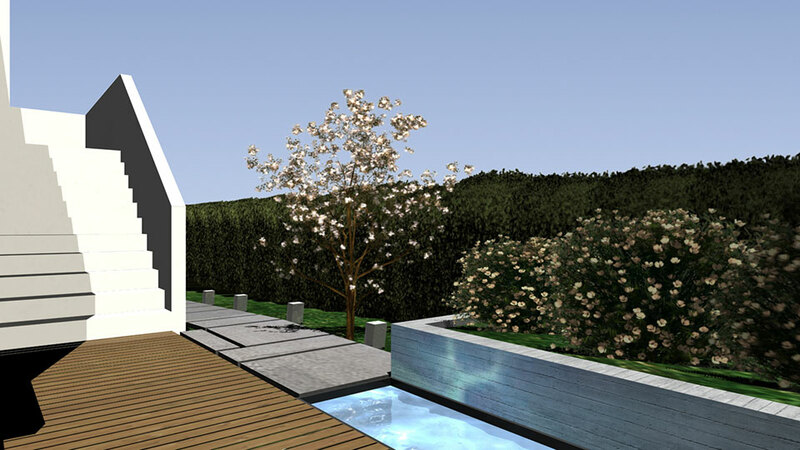 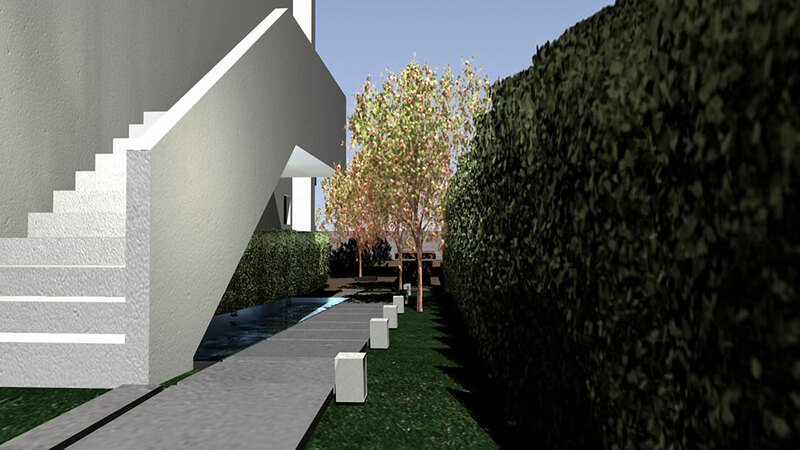 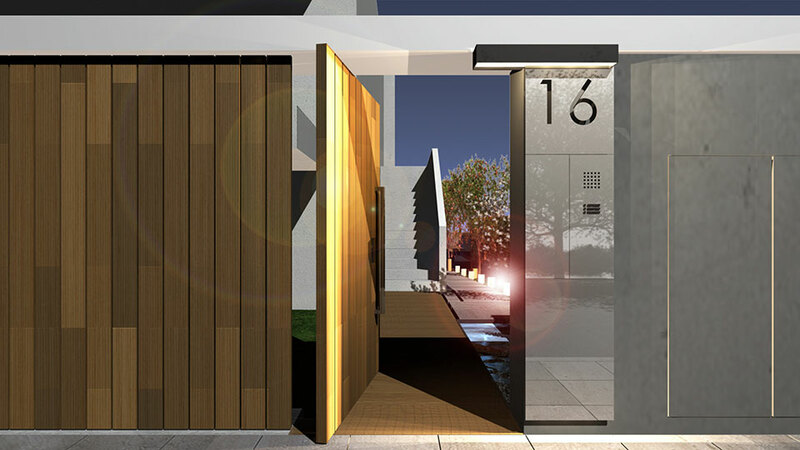 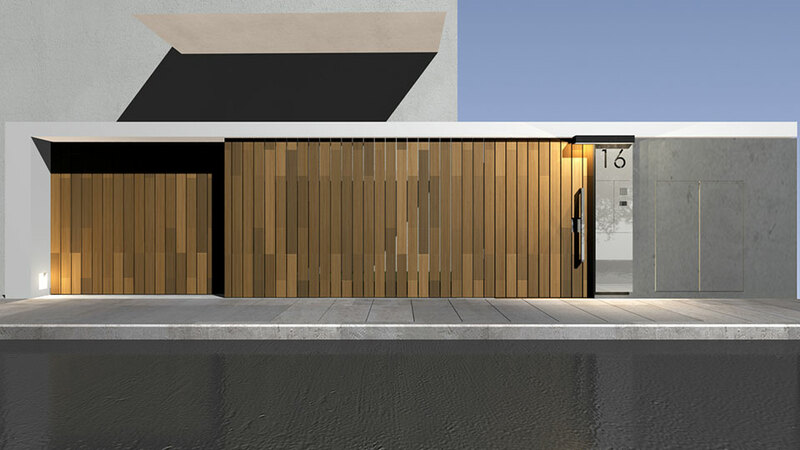 The space is visually restricted within a new fence and the garden walls so it becomes a new “interior”. 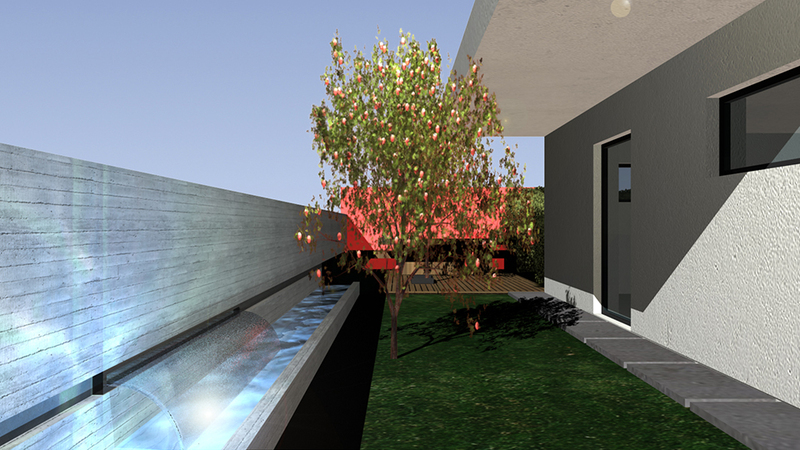 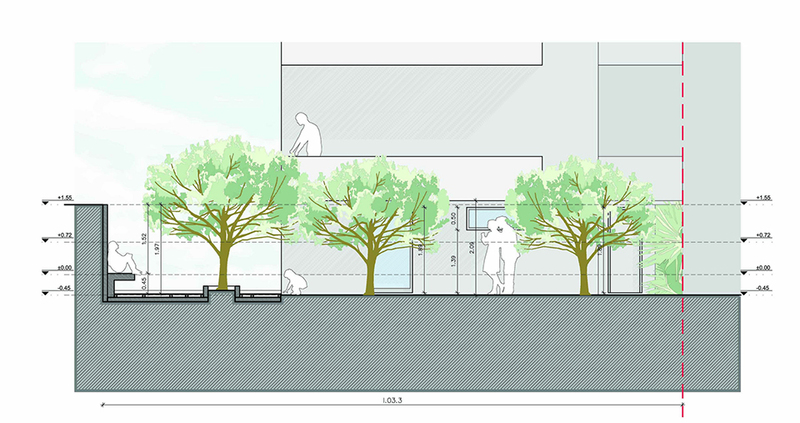 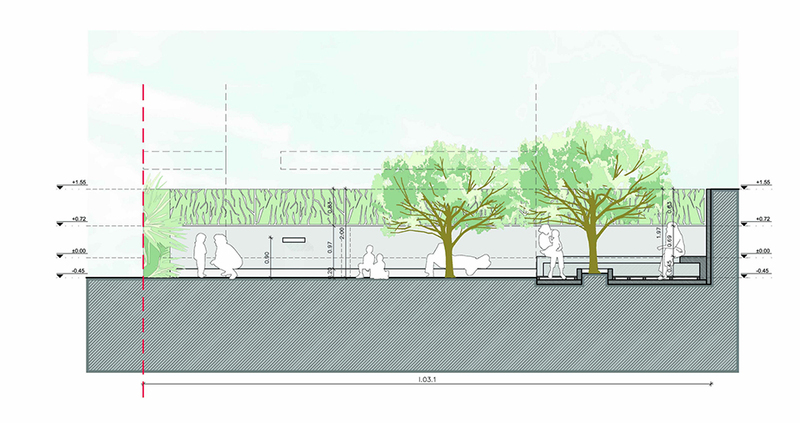 Linear water surfaces and the “green walls” lead the way to the wooden sitting area between the trees.